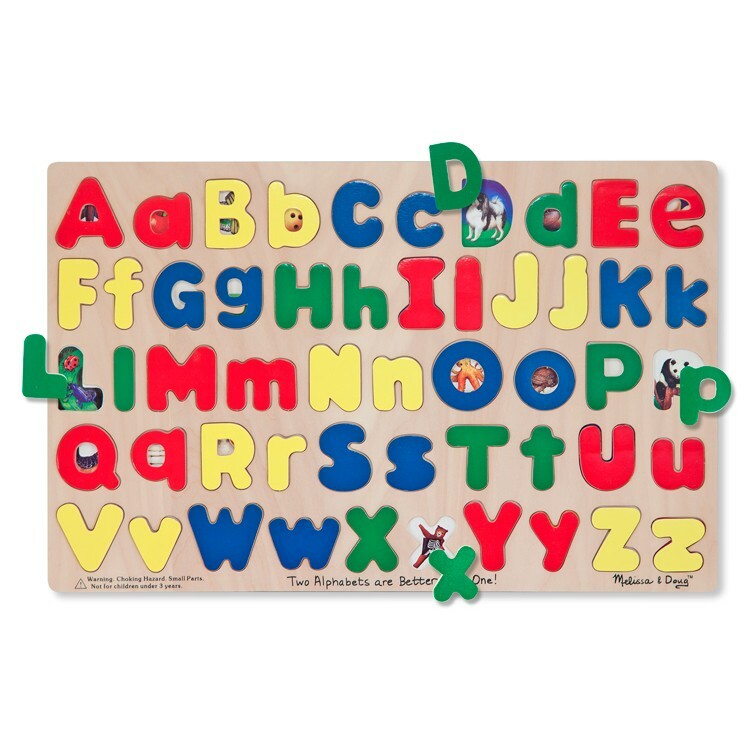 Melissa & Doug's Upper & Lower Case Alphabet Puzzle is a great activity play set to challenge your child with an exciting learning experience. 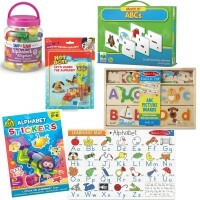 It's time to piece together some alphabet fun! 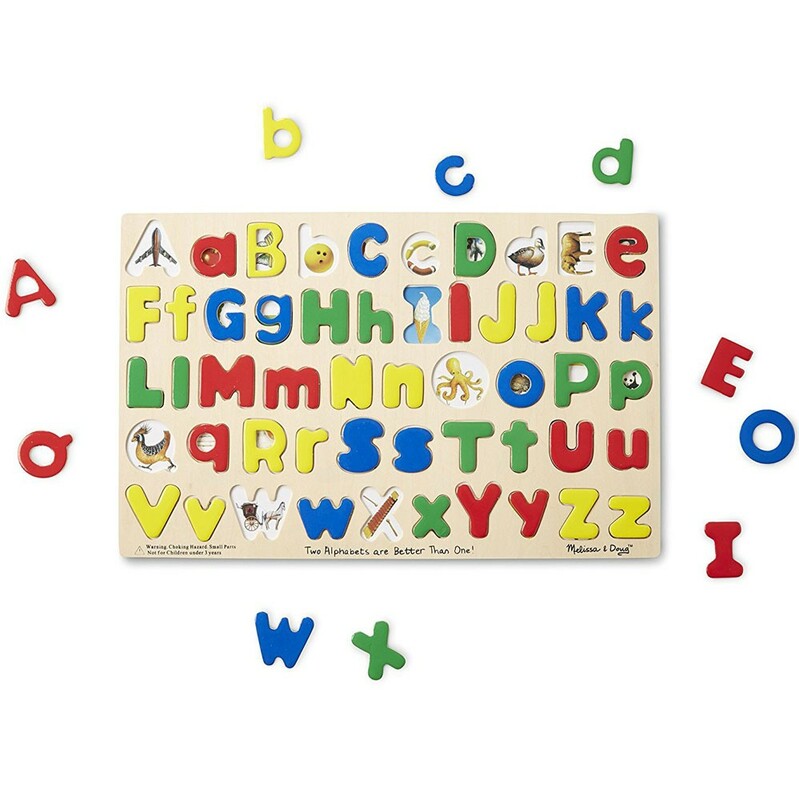 Melissa & Doug's Upper & Lower Case Alphabet Puzzle is a great activity play set to challenge your child with an exciting learning experience. This ABC learning toy features a durable wooden board with 52 well crafted cutouts in both upper and lower case letter shapes. 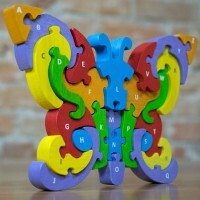 Under each wooden puzzle piece you'll also find a picture in the shape of that letter! Pick up the G piece to see a colorful bunch of grapes. Pick up the O piece to find a silly octopus, whose eight legs form the circular shape of the letter O. 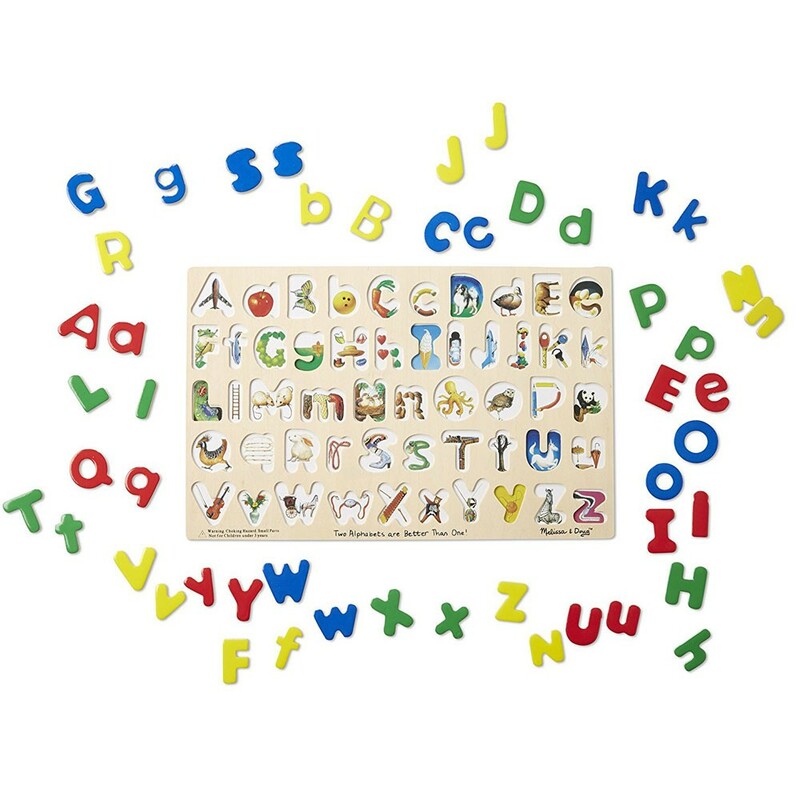 The high quality alphabet puzzle from Educational Toys Planet, Upper & Lower Case Alphabet Puzzle, is perfect for developing case recognition, fine motor skills, manual dexterity and matching skills, and for entertaining your child for years to come! 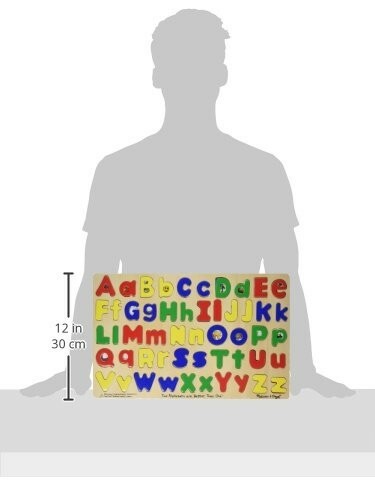 Dimensions of package 18" x 1" x 12"
Write your own review of Upper & Lower Case Alphabet Puzzle. Rating: 5 Great For All Kids! 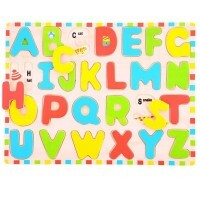 by By A customer I bought this for my special needs classroom and the students love it! 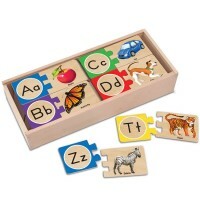 There are several ways you can play with this puzzle as an educational toy. Ask child to name the pictures for each letter, choose a letter and ask child to find the picture of ... to put it there, what sound does each letter make, find the capital letter ... or small case letter..., and other ways to play with this too.The capitol letter and lower case letters are the same color as each other, so that helps when a few of the letters look like another letter upside down or right side up. 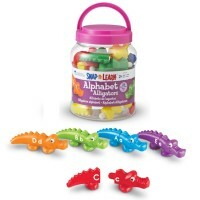 Rating: 5 Great for learning letters by By A customer Easy for little hands to use. My 3 year old loves it! Rating: 5 Learning with Fun! 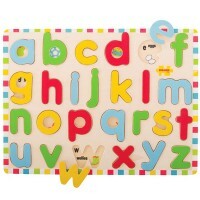 by By A customer There are not many puzzles that have both the big and small letters for toddlers to play with! I'm glad to have found this one! 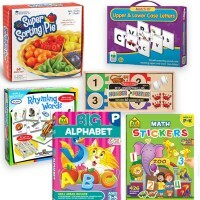 Rating: 5 Nice Melissa and Doug puzzle by By A customer I have not yet been disappointed with one of these puzzles. Rating: 3 Otherwise nice! by By A customer Board warped and does not lay flat. Otherwise nice! Rating: 5 Cute and educational by By A customer Came perfect. My 4 yr old loves the puzzle! 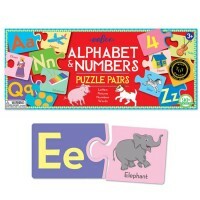 Rating: 5 Five Stars by By A customer Love this puzzle. 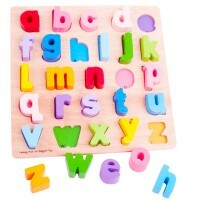 Rating: 5 Good educational toy by By A customer My son likes this a lot and it's been helping him learn the alphabet. The small letter "i" isn't very clear and looks like a small "L" so I had to take a sharpie and outline the "i" with the dot but not he understands the difference. Rating: 3 by kristin, MA What about making it magnetic so the pieces don't fall everywhere when a toddler moves it? 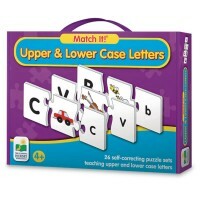 Rating: 5 by Mrs.Barbieri, IN We purchased this puzzle for our school to introduce upper/lower case letters to children. 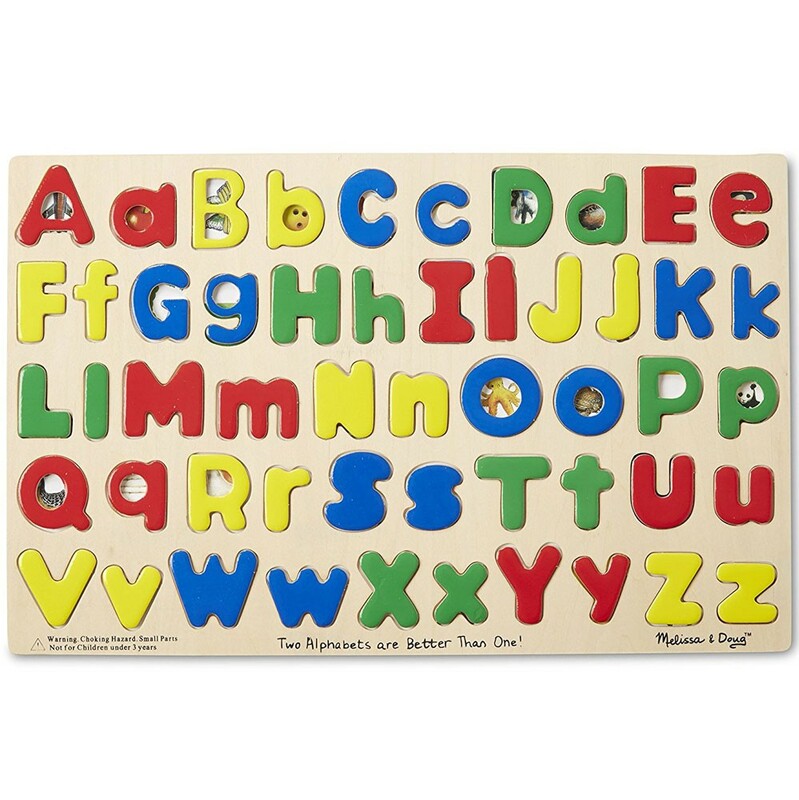 They have fun plaing with these letters not even knowing that they learn on the way.